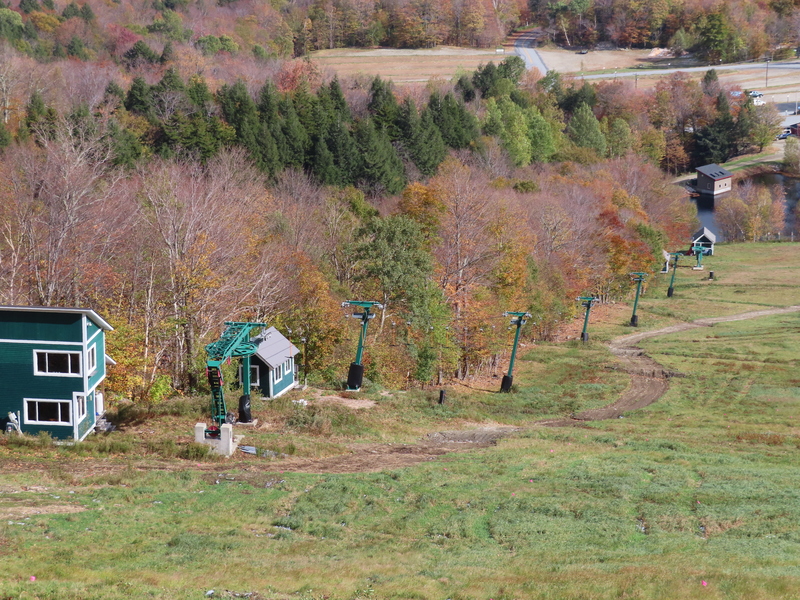 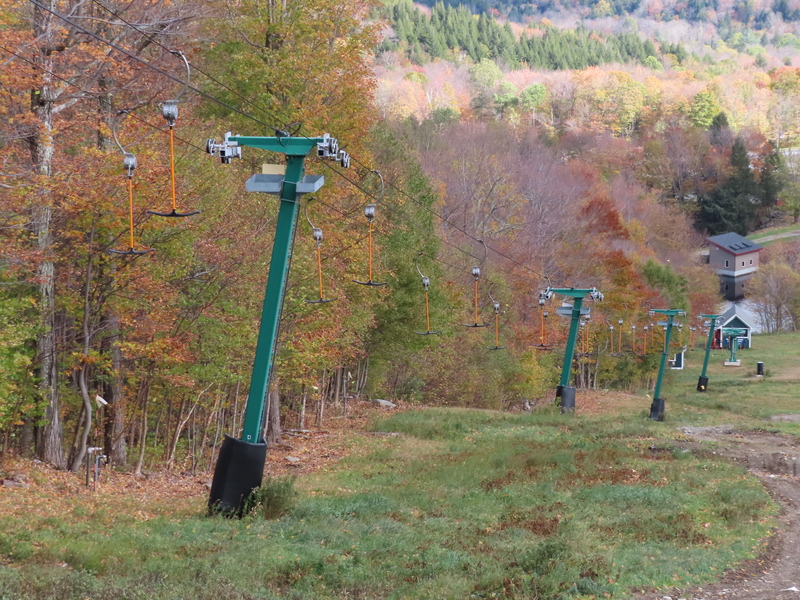 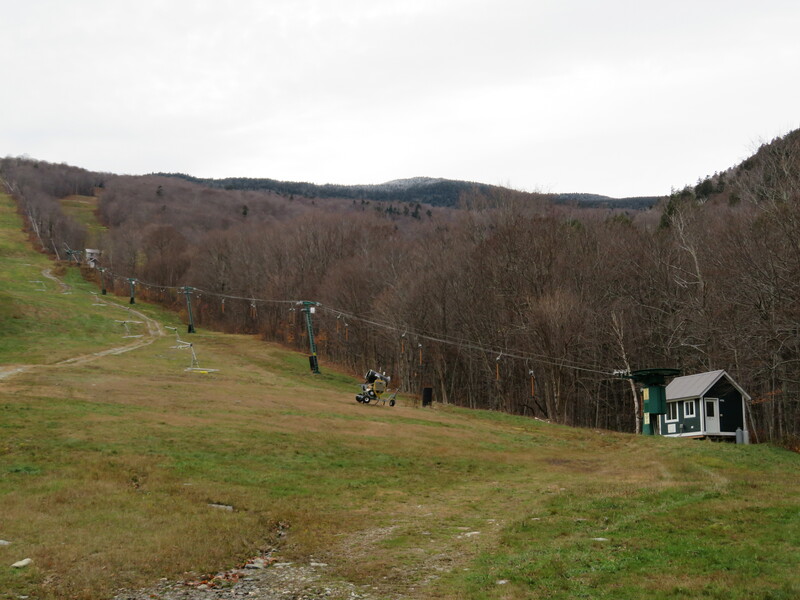 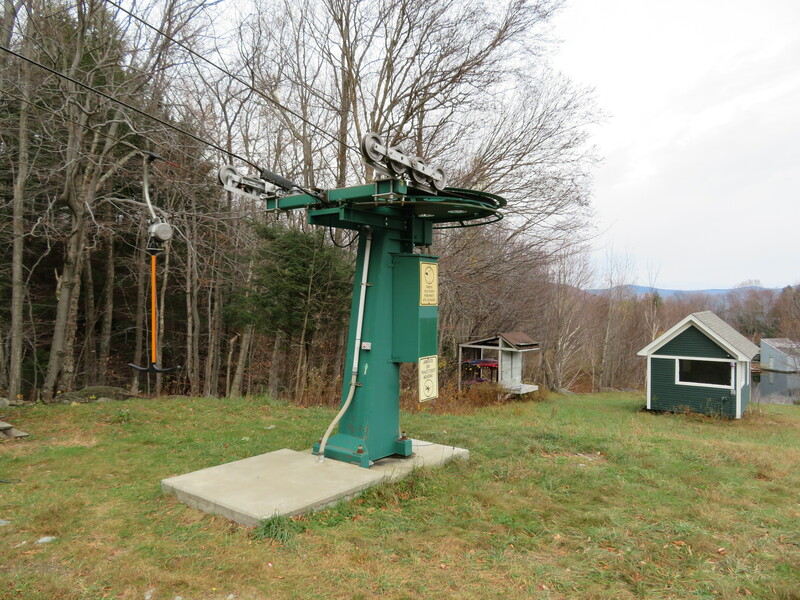 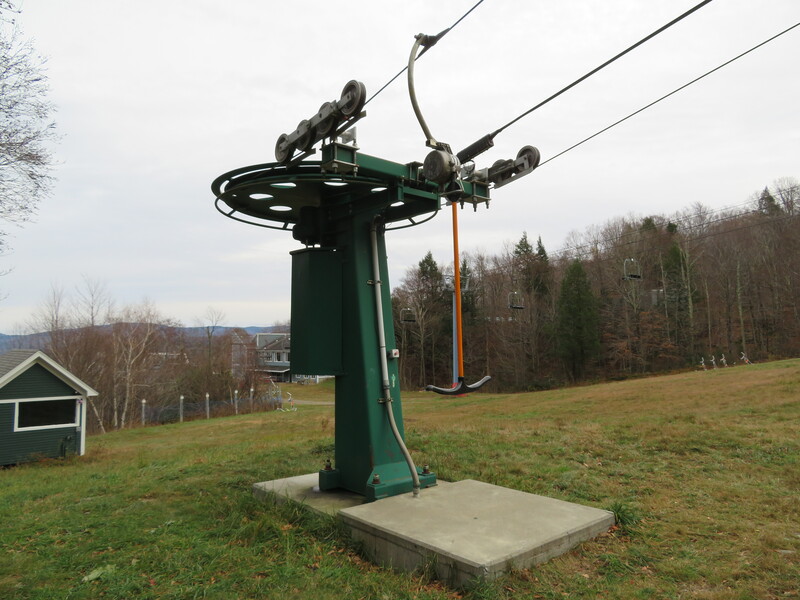 This relocated T-Bar is the second lift to form a race training facility for the Green Mountain Valley School. 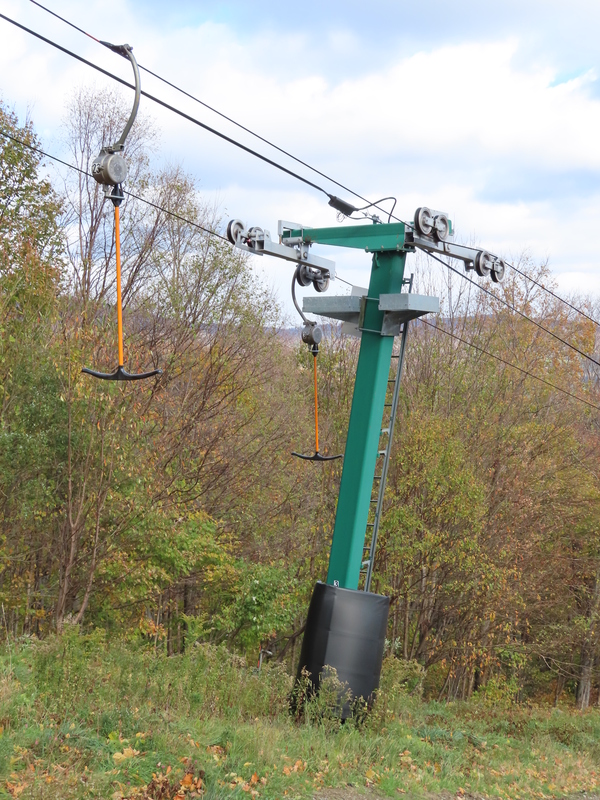 Bottom terminal with drive unit. 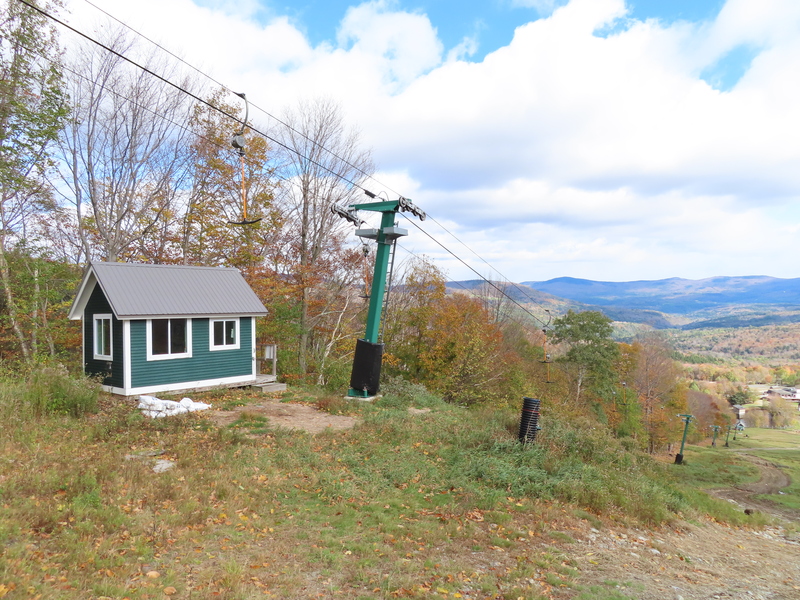 Another view of the drive terminal. 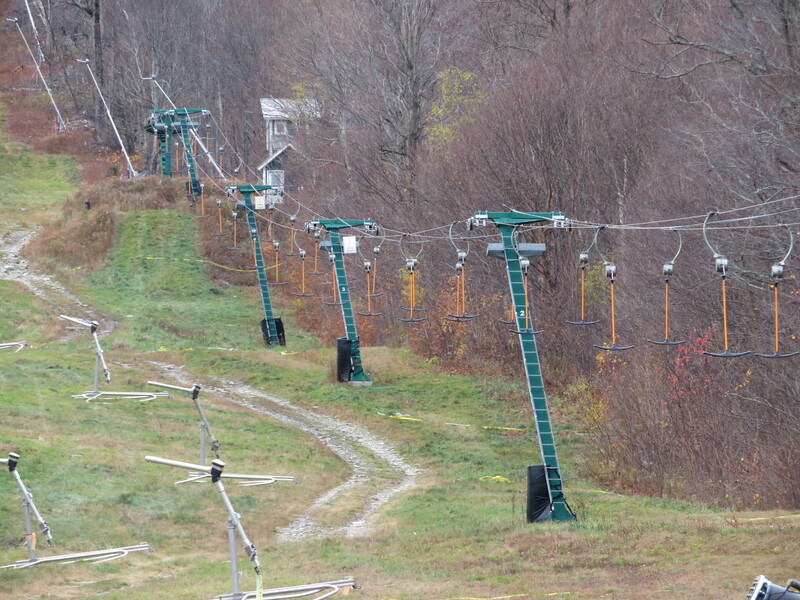 The entire lower GMVS lift. 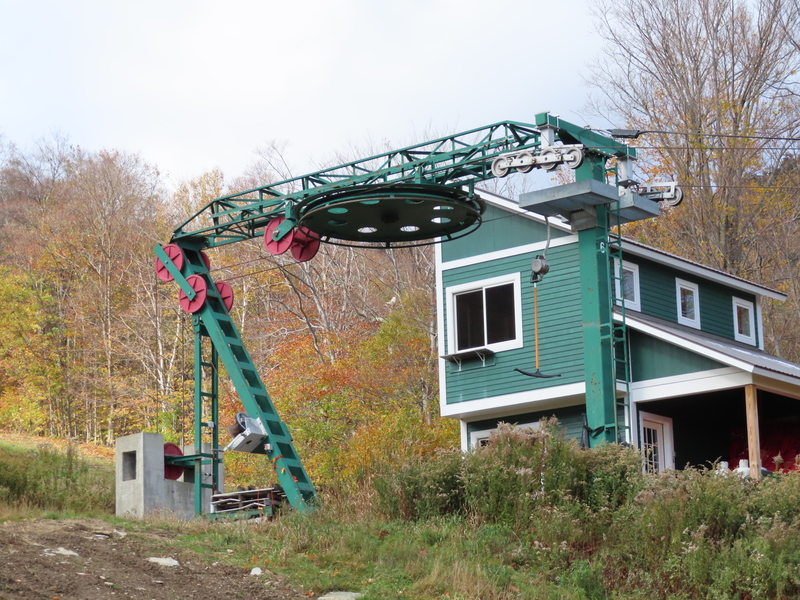 An angled tower and two Ts.